Meet Clark Zealand, the new face of Southern ultrarunning. In addition to being a professor at Liberty University, where he is developing a master’s program in outdoor recreation management, Zealand runs Eco-X, which produces the region’s biggest ultra series. Born in Canada, Zealand first came to the Blue Ridge on a Liberty track scholarship. There he met ultra pioneer David Horton and soon developed his own passion for extreme distance trail running. Now Zealand has teamed up with Horton and absorbed his mentor’s popular Lynchburg Ultrarunning Series into the Beast, a new six-race series that incorporates popular old school races like the Mountain Masochist with new epic challenges including the Grindstone 100-mile run. 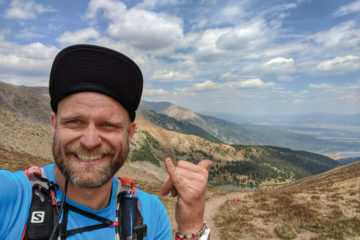 An accomplished racer, Zealand still holds the course record for the rugged Promised Land 50K, which he set in 2002 among a competitive field that included ultra bards Scott Jurek and Hal Koerner. He also holds the third fastest time at the Masochist, and he’s been a top three finisher at the 50-mile National Championships. Zealand, who still runs on the Patagonia Ultrarunning Team, also recently started Run for a Reason, a nonprofit that will host smaller races to raise awareness for medical charities. Explain the correlation between the Beast series and your academic background as a PhD in ecophenomenology. CZ: Phenomenology is a philosophical approach to science. It tries to get to the essence of an individual’s experience. The name of my company, Eco-X, is short for ecological experiences. I study how people interact socially with the ecology around them. In my dissertation research I studied the experiences of Appalachian Trail thru-hikers. I found that thru-hikers tended to challenge the dominant assumptions of Eastern wilderness. They realized they could have genuine wilderness experiences on the East Coast. That’s important, as we continue to hear more about re-wilding. I’ve taken a pragmatic extension of that into my race directing. I want to provide opportunities for people to experience the ecology of their lives through running. You’ve run all over the world. Why provide those experiences here? 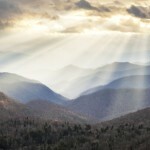 CZ: There’s something intangible about the beautiful Blue Ridge mountains that lend themselves to trail running. They’re accessible enough to new runners yet still provide a great challenge to experienced runners looking for the extreme. I’ve heard lots of other runners from different parts of the country—even the West Coast—say that. This is a unique and special area. Virginia, specifically, has become a hotbed for ultrarunning. 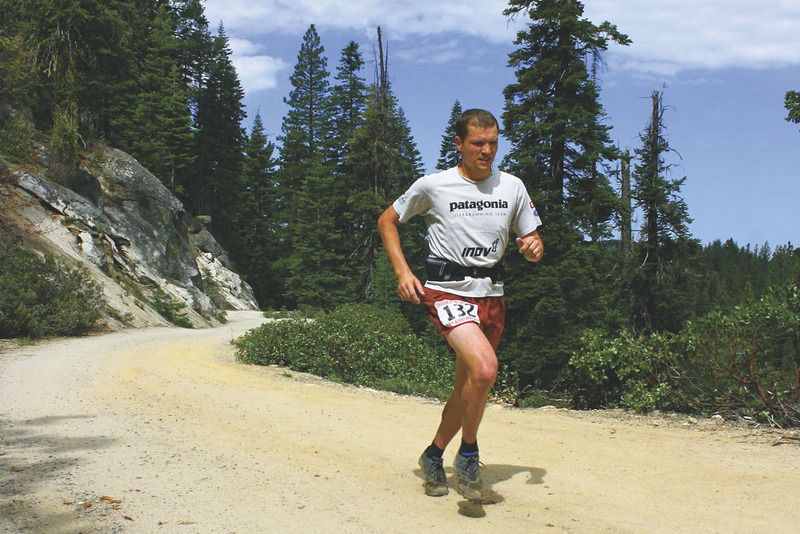 How did Dave Horton influence your ultrarunning? CZ: He has done more than anyone for the sport of ultrarunning. I was still just running track when I first did a run in the mountains with Dave. I started seeing all the fun experiences he was having setting speed records and covering long trails, and it grew into an incredible passion for me. CZ: Setting the record at Promise Land and having it stand for so long is definitely a career highpoint. I also hold the fifth fastest 100-mile time by a Canadian, which I posted at the 2004 Vermont 100 Mile Endurance Run. The funny thing is I wasn’t even planning to run that day. I was just there supporting friends, when I was convinced by some ultra buddies to enter the night before the race. Toughest time or low point? CZ: In 2002 I ran Western States and basically had to walk half the race. When I got back to Virginia I ended up in the ER with the equivalent of a cardiac infarction. They found out I was running the race with a minor heart attack going on at the same time. At the race they were making a movie called Running Madness, and there’s footage of me looking miserable. Racing comes with great performances and rough times when you have to tough it out—each time you learn things about yourself. How has the ultra scene changed in the last decade? CZ: The main thing everyone is noticing is the increasing number of 100-mile races. Every time you turn around there seems to be a new one. Also some of the more established races are filling up within minutes. People are looking for different types of adventures. Tell me about your newest project—Run for a Reason. CZ: It’s still in its early stages, but I want it to be another way running can help change people’s lives. We are having our first event at Liberty on April 3, a 10K/5K that will benefit autism, something I am dealing with personally with my son Coleman.